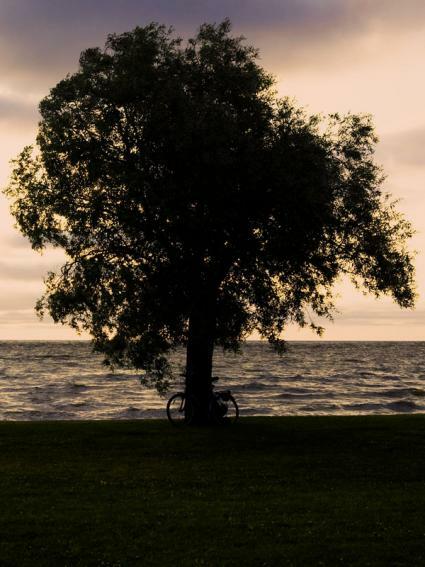 Just a tree on the sea shore. good idea but the tree is bang in the middle. If you'd go further or used wider angle lens get more of the sky with ther tree bit to the side/bottom (rule of thirds or something close) I think it would have worked better. Or move the bike so it's not half/half around the tree but only on one side and go much closer to the tree. Just two of my ideas. PS: I'd boost the saturation a bit.